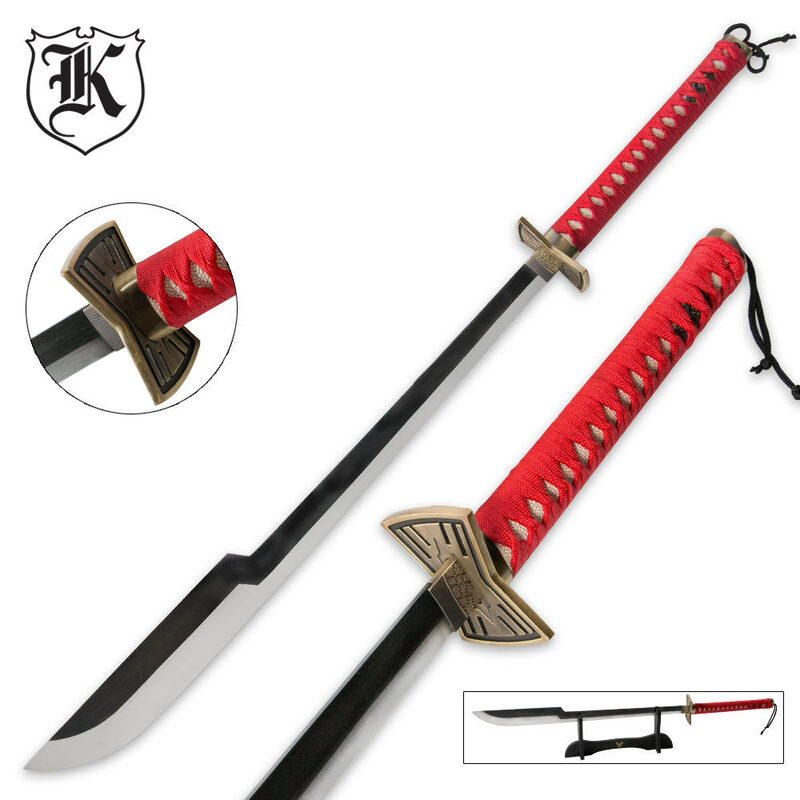 Heavenly Retribution Carbon Steel Katana Sword with Stand | BUDK.com - Knives & Swords At The Lowest Prices! 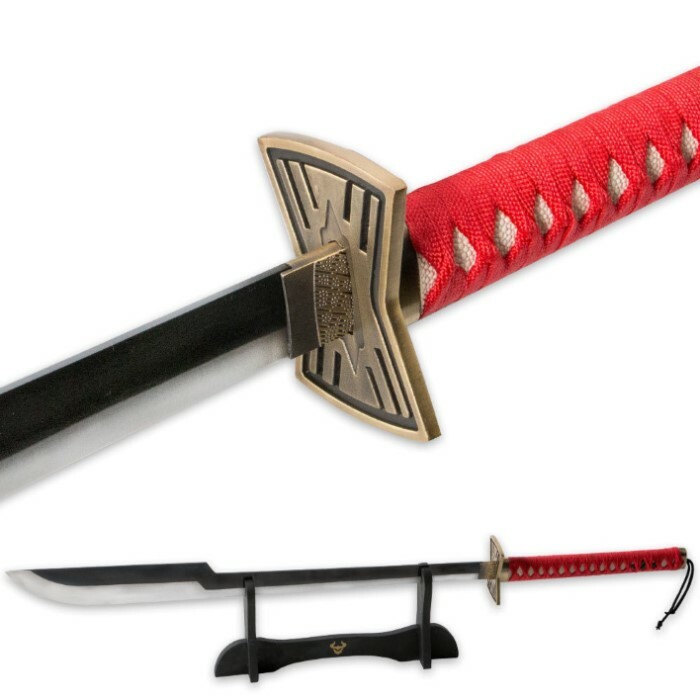 Own the sword of your favorite anime character from one of the most popular anime series! This sword offers a 1045 carbon steel blade with a black coating and a satin edge and a red cord-wrapped handle with white imitation ray skin. The cast metal tsuba is shaped like an hourglass with vertical line patterns to add to the look and feel of this katana sword. The sword comes with a black wood display stand. It looks great in the photo, even better in person. The weight feels solid and it's fun to swing, not to mention it's pretty durable! Only caveat is the fact that it doesn't come with a sheath, so save the plastic wrap it comes with until you can find a sheath for this beast.